A. T. Ahmed | K. K. Eleja & Co. He graduated from the Faculty of Law, University of Abuja, Abuja, in the year 2015 where he obtained his LL.B degree in Public and International Law. 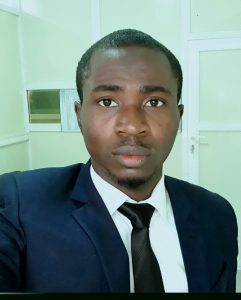 He was later called to the Nigerian Bar in November, 2016, and thereafter proceeded for his National Youth Service Corps programme (2017) and served at the law office of Bukola Onifade & Co in Osogbo, Osun State, where he was exposed to law practice. He has since been engaged in active law practice, having joined the firm in January, 2018.